Microneedling reverses sun damage & improves the appearance of scars as well as the overall texture & health of the skin. 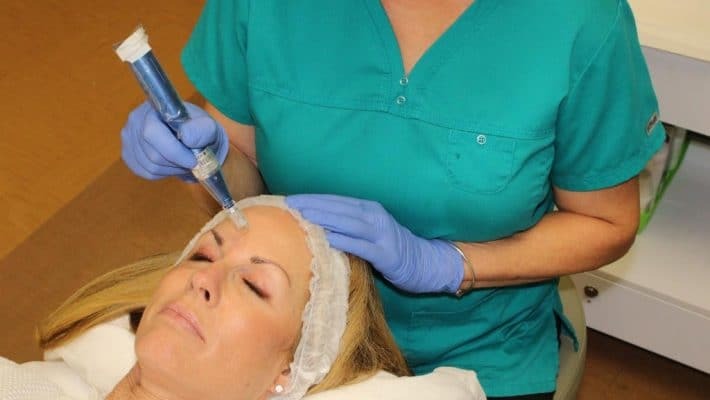 What to Expect when you come in for a Microneedling treatment: When you arrive for treatment, you’ll cleanse your skin thoroughly (including removing any eye makeup so there’s no possibility of tattooing in those mascara smudges). We will take a series of photos & will then apply a topical numbing agent to ensure your comfort during the treatment. Treatment time may range from 30 minutes to 1 hour (or even a little longer depending on the areas being treated & your skin type). We will apply a soothing serum immediately post-procedure to calm the skin. Mild side effects with minimal to no downtime. The skin will appear slightly pink to red immediately after, similar to a mild to moderate sunburn, but will usually just be pink & maybe a little blotchy by the next day. We will also provide you with a post procedure kit containing products to be applied after your treatment. You may apply a tinted mineral sunscreen or mineral makeup the next day & can resume your normal makeup regimen 2-3 days following treatment. At about the 2 week mark after treatment we notice what we refer to as a “post needling glow” where the skin has luminosity to it, pores appear more refined and it just looks more alive. Over time, fine lines (especially around the eyes and mouth) & scarring will be minimized and the skin will be smoother & more resilient. For optimal results we recommend a series of 3-6 treatments spaced about 4–6 weeks apart based on your skin’s needs. 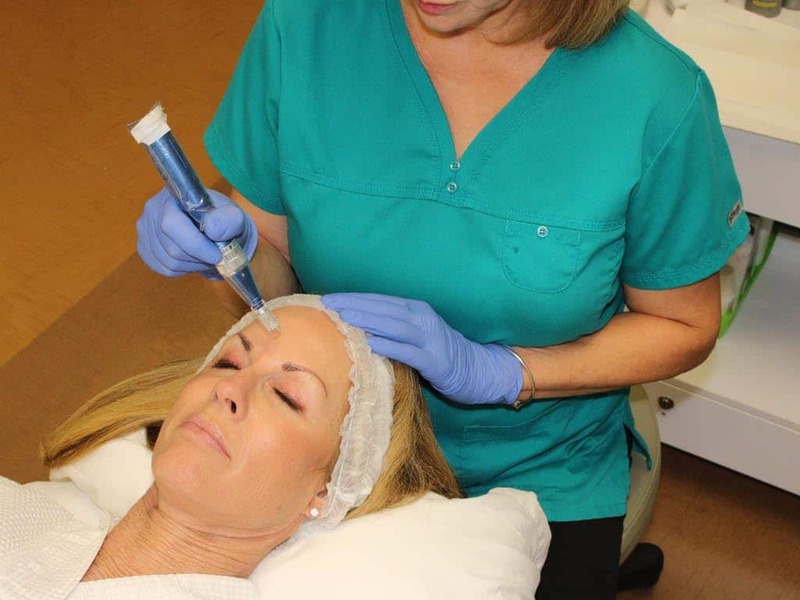 Contact us at Skinspirations for a FREE consultation to find out whether microneedling may be right for you.